Gangsta Signs on the Rooftop Stage with the Everyman Chance Lewis. Photo by JHack. How I ever believed marriage and children was the end of a wild life is beyond me. No, it appears the more I live, the longer I am married, the more children I have the more I find myself living out the craziest of sequences. I do things I never thought I'd ever do. Let's take for example the time I was messing around with my nieces in this vlog and I started to sing a song I made up in my head called Gangsta Signs. And then the next night I was on a date with my husband and record producer Scott Wiley and Rooftop Concert CEO Sarah Wiley and at the end of the date we pull up to our house and Scott says, "I have something for you," and it's Gangsta Signs fully produced with a track by 100 Block MC Chance Lewis and Provo's Beloved Baby Brother Gilbert Cisneros with the funky sounds of producer Nate Pyfer. I was screaming in the backseat. You want to hear my single? Alright. But, BUT, but the thing is Chance, and his partner in crime Apt, became really great friends of mine over time. 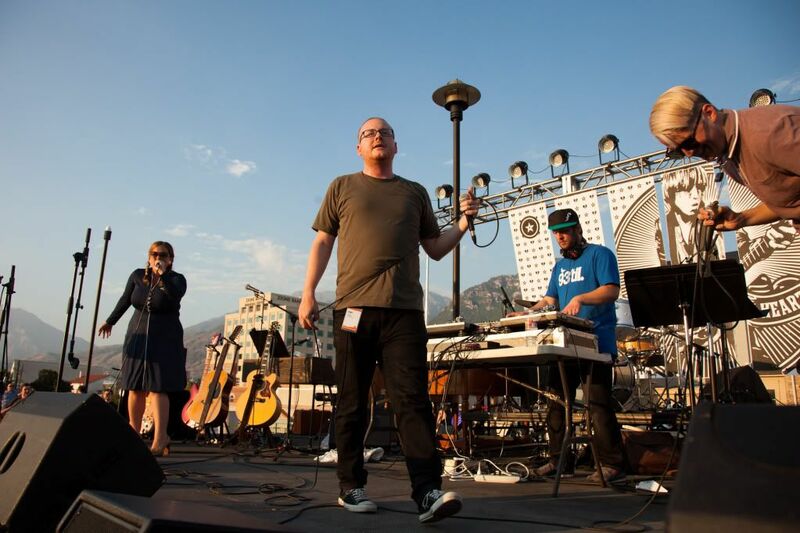 And I was surprised to find that Provo's most eclectic, passionate, hip-hop frontmen were some of the nicest dudes I have ever met. So nice, and very hilarious. And then in a fate I never could have imagined Chance and Apt invited me and Gilbro on the Rooftop Concert Stage to perform Gangsta Signs and I thought my family would die but I got a text from Lucy right after saying, "Actually, not bad!" Me, Chance, DJ Skratchmo and Apt. Credit JHack. 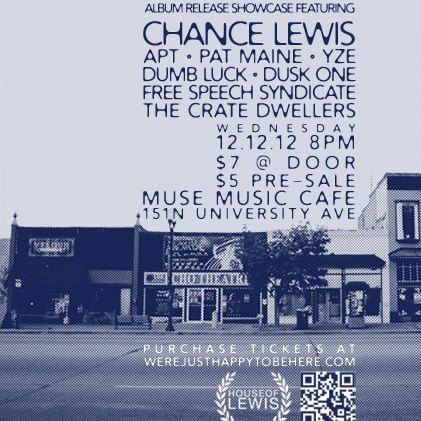 So now here we are, and my friend Chance is releasing his album We're Just Happy To Be Here next week at Muse 12.12.12 and I'm so proud of him and his team of good guys. 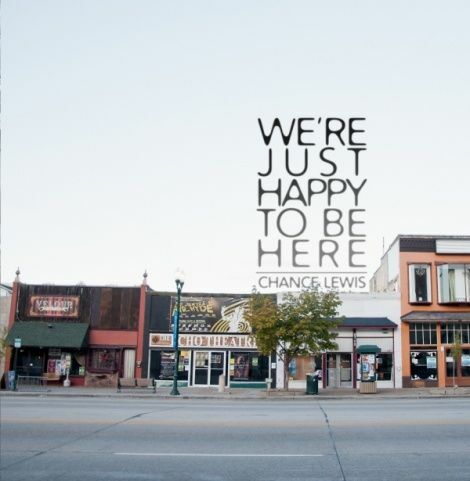 It's a really entertaining album with generous nods to Provo's 100 Block and super successful music scene. You need some new tracks for your half-marathon? Need a new dance track? Want to have a party right here in your chair? Need some GET UP AND GO music? The children need to shake it in the kitchen? Thanks for the chance, Chance! Success Brother!